It is absolutely true that your eyes can reveal a lot. I’m not talking about “eyes are the windows to the soul,” but rather on a more shallow subject, the outlook of your eyes. Along with many others, I was born with puffy and dark circles eyes problem. Lots of times, I project that tired/not so energetic looks even though when I’m totally opposite. There are products can help minimize these common issues, but not everything does what it states to do. After so many trials, I have come to this solution that I think works best so far, the GinZing Refreshing Eye Cream and Make Up For Ever Full Coverage Concealer. I have used these two products without much of impression at first. 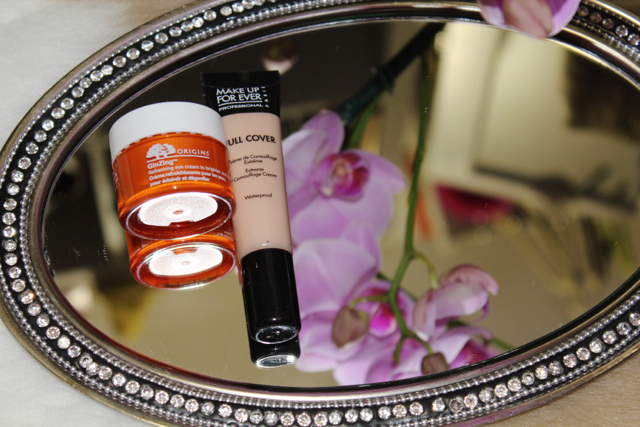 Loved the concealer with the coverage it gave me, but also hated the tiny cracks after few hours after. 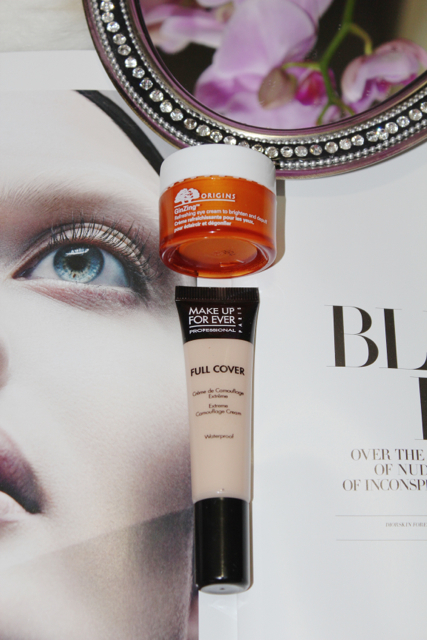 The eye cream was great for the morning use with the radiant effect look, but it aso gave me the shiny face. Frustrated with how things not turned out the way I hoped, I started to mix these two together and been happy ever since. They’re now nothing but a perfect combo and becomes my holy grail. The cream helps to dilute the concealer’s thick texture which helps with the cracking problem and adding the radiant effect, making my eyes look more refreshed. These are a must before I walk out the house, never fails! Squeeze out just a rice grain amount of concealer and 1/2 the amount of the GinZing cream on the back of your hand, pat the two together til completely mixed then apply to under the eye areas, I like to blend the products with the eye blending brush. As always, thanks so much for reading and hope you find the product as beneficial to you as it is to me. Great idea! I find that’s often true, when products aren’t quite right, mixing them together can fix that. Thanks for sharing, great review! Thanks Kiki! I enjoy your page too and tried to leave my comment but not able too.